Think Local First DC brought the community together for a summer mixer at Ben’s Upstairs, a local business on the H St. corridor. 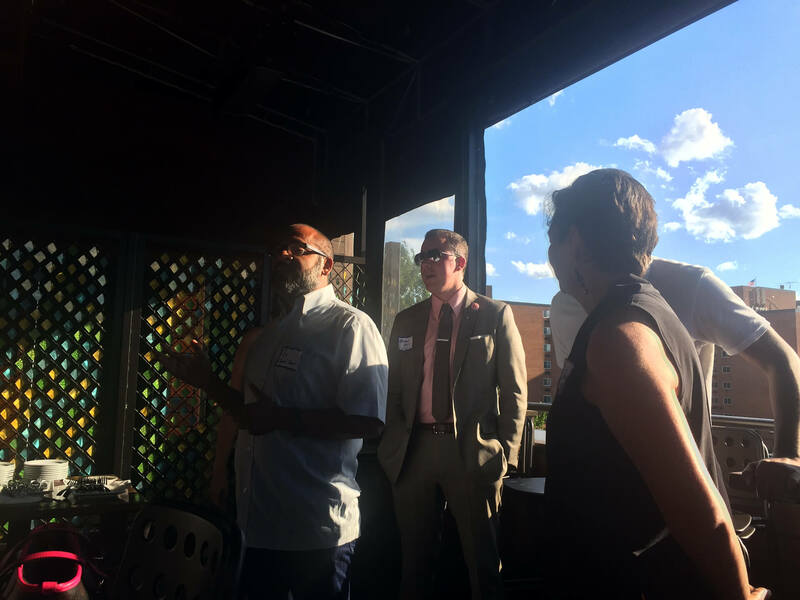 Business owners, entrepreneurs, artists, nonprofit leaders, and policymakers mixed and mingled on the rooftop during a beautiful summer evening. Business connections were made, ideas were shared, and a positive vision was put forth for D.C. If interested in attending the next Think Local First DC mixer, sign-up for our newsletter! If interested in hosting the next Think Local First DC mixer at your venue, email us at info@thinklocalfirstdc.com with the subject line Mixer!